Spinach and Ricotta pasta is our take of the stuffed spinach and ricotta cannelloni but using pasta instead and no sauce. 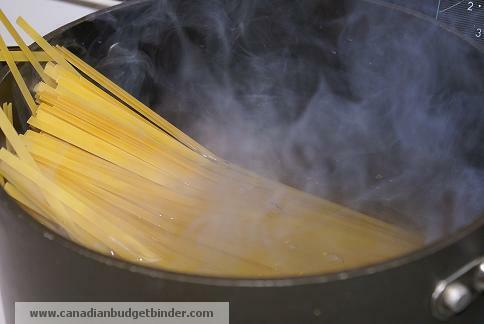 We thought there has to be a quicker way to make a baked pasta dish then having to stuff tubes and baking them in the oven. This recipe is so creamy you literally can’t stop stuffing it in your mouth. 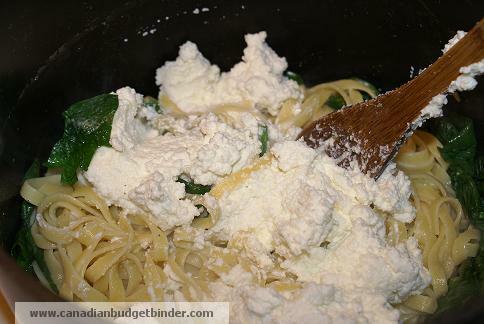 The ricotta when heated melts just that little bit and when mixed with the pasta, garlic, spinach and Parmigiano creates a magical combination that is hard to resist. This meal is one of those quick meals that should only take about 15- 20 minutes to make especially if you want a good meal during the week-night when you are pressed for time or just tired from a long day. Nothing goes to waste when making cheese and that’s how the birth of ricotta came to be a cheese by-product. Ricotta is an Italian whey cheese which is made from a sheep, cow, goat or buffalo milk with the cow’s milk often used in America and Canada. Ricotta is also low in fat. Ricotta means “re-cooked” which uses whey the liquid that is left over when straining the curds from making cheese. If you buy ricotta you may also find it in 3 other variations, salted ricotta, baked ricotta and smoked ricotta to keep shelf life. I have never tasted the other variations but maybe one day when we take our next trip. If you are handy in the kitchen and want to try and make homemade ricotta all you will need is pasteurized milk, distilled vinegar and salt 3 ingredients. I have yet to make it at home although my mate Beth informed me how easy it was to make. I think this will go on my to-do list for 2013. Ricotta can run you about $4.79 for 500 grams unless you can find it on sale or make it at home because sometimes homemade is better than store bought. What Culinary uses are there for Ricotta? Ricotta is used in cuisines all over the world most notably in desserts such as cheesecake, puddings, sweet canoli and many types of ricotta cookies such as a lemon ricotta cookie which I will make for you soon. 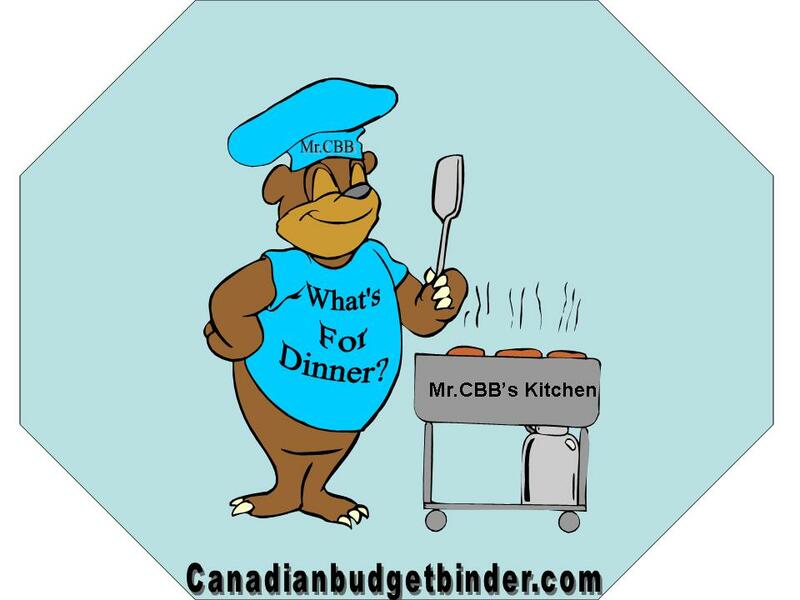 You can also use ricotta in your favourite lasagne, meatballs, manicotti, pasta frittata, fritters, calzones, ravioli, pasta, cannelloni, pizza, stuffed shells, soups (ricotta balls), Easter pies, cakes (like my Orange Ricotta Pound Cake) and many other recipes. In the Indian cuisine they use paneer (you can find this at many local supermarkets) although in an Indian dessert called Ras Malai which my mates mum would make for us when we were younger but she would use homemade ricotta. It’s just one of those foods you don’t get every day and another reason I like to travel and hang out with the locals to explore their culture rather than going to an all-inclusive resort. The knowledge I’ve gained in my travels is priceless. 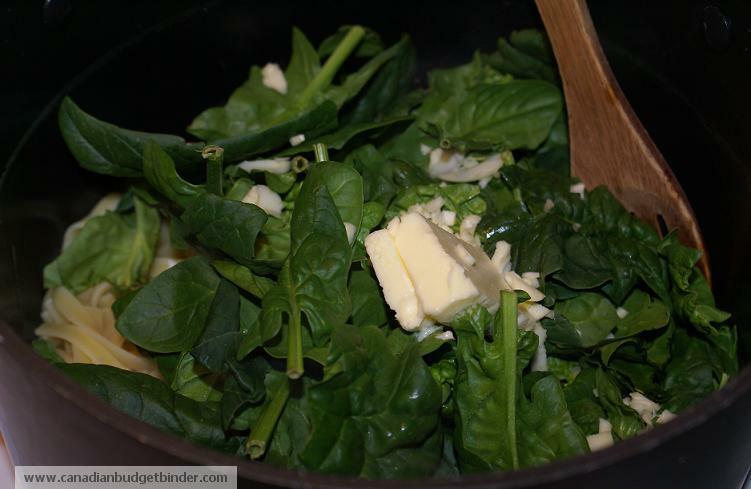 Once the ricotta is combined add in the spinach and 2 tablespoons of butter and cover on low to let the heat wilt the spinach for a couple of minutes then stir. If you want to add more salt to flavour taste it now but you can top with cheese as well. This is a simple meal that anyone can make. 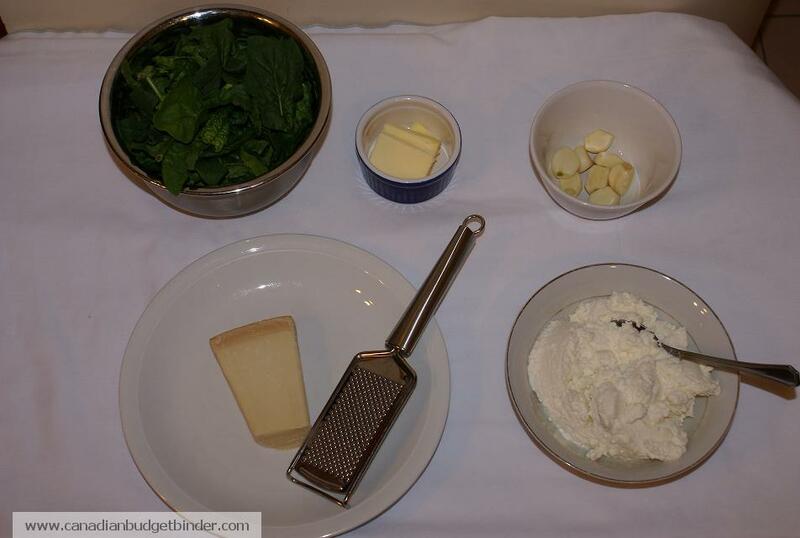 If you love pasta then try this spinach and ricotta fettuccine pasta any night of the week. Plus! Don’t forget to Subscribe to the blog so you get my daily email! #CBB Think I would to try this recipe. Looks yummy & simple to make too! Wow this sounds delicious and much easier than my regular white pasta sauce recipe. Will definitely keep this in mind for a busy weeknight meal! It’s so easy it’s riDQulous….. enjoy! I love ricotta! Homemade ricotta is awesome. It can take a bit to get it up to temperature, but I bet that it’s easier when you’re at lower altitudes than I am. I’m going to give it a go I think. My mate Beth at Aunt B’s Kitchen told me about making it. Looks delish! Can’t wait to try this one at home! It’s so easy, you will make it a regular! I love ricotta but never tried making it fresh. This dish is a keeper. This is an awesome recipe mate, simple too! That’s ok I’m sure many people didn’t, I always like to add a bit of an educational twist to my posts. Thanks for the lesson or ricotta. I learn something here every Sunday. It it so good Christine! I just buy the ricotta at the shop when it’s on offer as I’ve never made it but I might try it some time. Hey Mr CBB! I am sending my BF over on the next flight, please teach him all that, thanks! 🙂 I love ricotta, it is hard to find here and usually it is something else that they call ricotta and pretend is the real stuff… when I go back to Europe I basically eat only cheese and bread for a month.